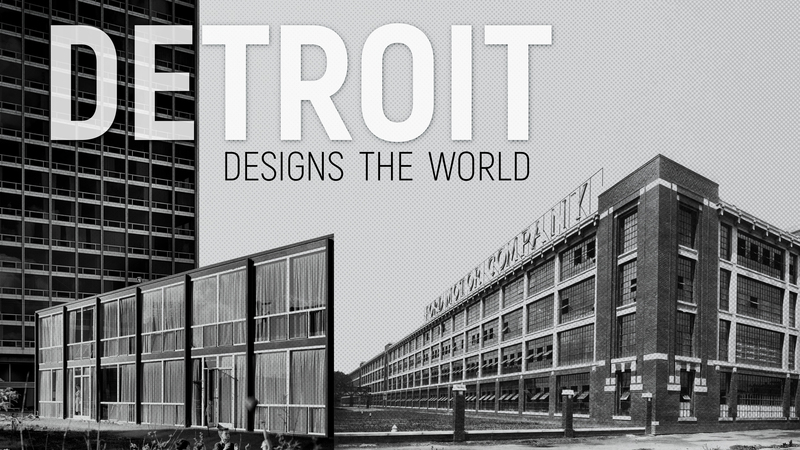 Detroit Designs the World is a 35-minute documentary that features sites from the list of National Registered Historic Places including: Cranbrook, the Highland Park Ford Plant, and the GM Tech Center. These sites have been selected based not only on the merits of their architects, styles, and purposes, but on the fact that they are recognized as iconic landmarks that are symbolic of Detroit in many ways: as a city that was once an economic powerhouse, as an influential model of inventive industrial design, and as a community with unique architecture, rich history, and an incredible story to share. The documentary will serve as a review of Detroit-area architecture, tell the historical stories associated with each site, and trace the storyline of how the groundbreaking work of world-renowned architects, artists, and designers influenced inventive industrial design throughout the world. This documentary will also inform about the importance and influence of these landmarks, and educate about the relationship of art and function. Learn more about DPTV Passport.